A good sales team plans ahead on every meeting and lets their management know exactly when and with whom they've have a meeting with. A GREAT sales team follows up on this and creates additional notes after each meeting, making sure they know exactly where that person is on their sales pipeline and what the next step is to progress. 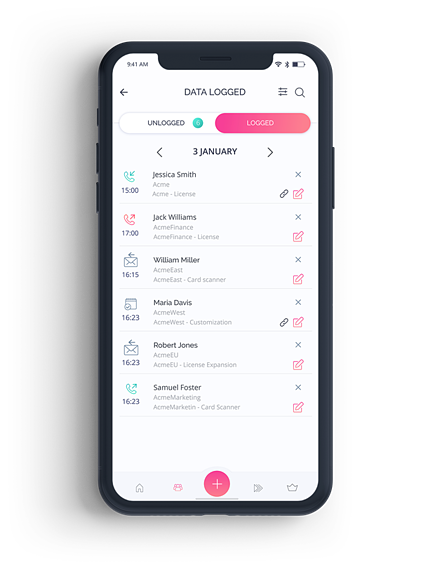 The server-side sync allows you to use your calendar as you would normally, all while having all of your meetings logged into Salesforce without having to lift a finger. In addition to this every time you edit an event it's automatically updated on Salesforce. A great sales team is reliable. Make sure you and your team know your next move with our assisted home page. 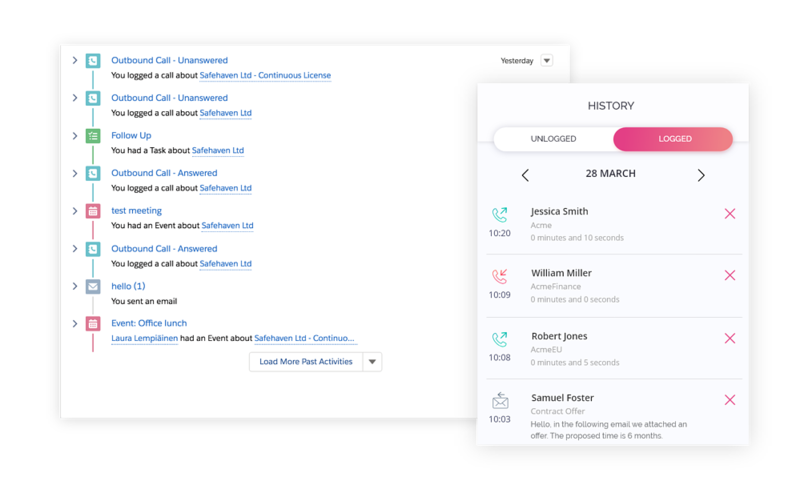 Our home page shows you all of your upcoming meetings and allows you to manage your meetings as well as daily tasks on-the-go. 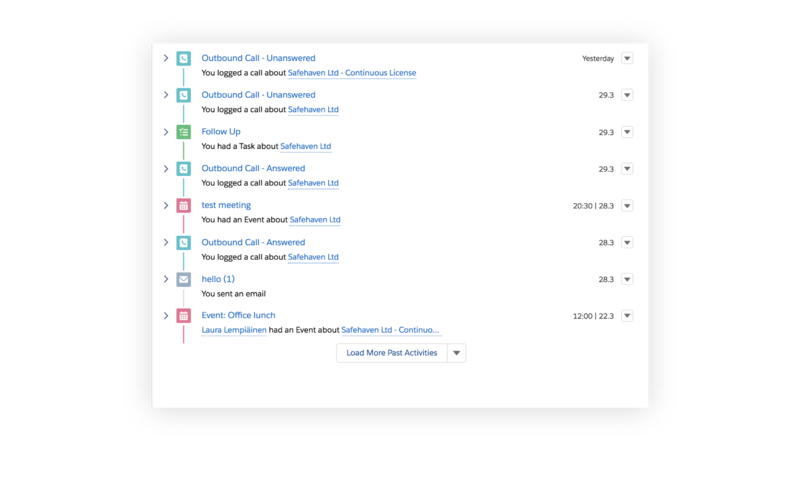 We let you tailor-make your own Salesforce workflow to meet your company's unique needs. By letting you decide which information you log after every meeting, you can create an information database that will most benefit your sales analyses and strategic planning.